After rising to fame on the back of singles and EPs, the most hated man in dubstep has finally got round to producing his first full-length. What can be expected from this album? Well, it’s Skrillex, which means lots and lots of impressively irritating electronic noises. 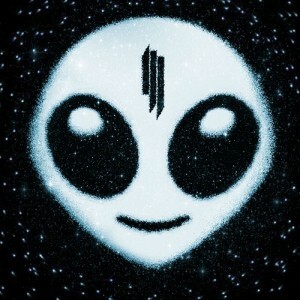 The opening track “All is Fair in Love and Brostep” kicks the album off with a slice of signature Skrillex – a salvo of shrill, sonic squeals (too much alliteration?). I was half-expecting the album to keep following this formula, but the producer shows that he has a multitude of noises to offer. There are squeaky fart synths such as on the track “Stranger” and robotic poodle barks on the track “Try it out”. Then there’s the track “Doompy Poomp”. I don’t know what’s going on here but it sure isn’t pleasant on the ear. Obviously, Skrillex doesn’t set out to create warm, ambient landscapes. His music is designed for thrill-seekers. Its endorphin-releasing, speaker-testing noise for drunk people who can’t dance and rebellious teens who want to alienate their parents. And I’d be content with this it if it wasn’t for the fact that this album is so unfocused. Yes, as diverse and creative as the various sounds are on this album, none of the tracks feel all that connected or fleshed out. He’s thrown all his ideas on the canvas willy-nilly without any care for the overall picture and what’s left is a half-arsed mess. I expected something cleaner from the man who is secretly a mop. That wasn’t very nice Alasdair. 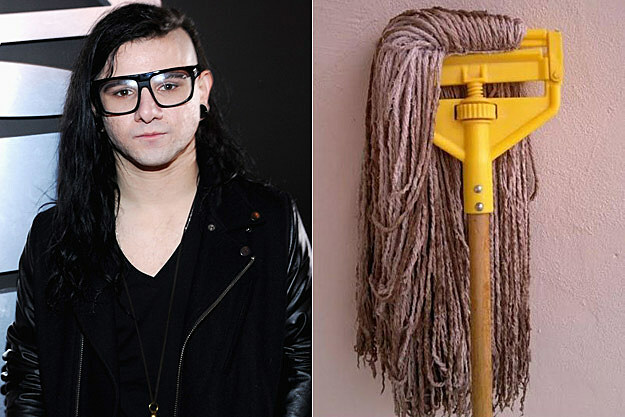 Skrillex isn’t a mop, he’s a human being. Indeed, I’ve heard he’s one of the nicest and most genuine people in the music industry that you're likely to meet and so I feel almost bad for writing this negative review, but the truth is this album isn’t very good. Any record with a track called “Doompy Poomp” on it is bound to be garbage. Even the guests can’t salvage most of the record. Chance the Rapper lays down an embarrassingly poor verse on “Coast is Clear” and the Ragga Twins offer some of the most forgettable vocals in the history of mankind. Overall, Recess is an annoying ambling incohesive muddle that’s likely to sell thousands of copies because, well, its Skrillex. The greatest compliment I can give this album is that it’s not nearly as awful as that Jezebels record I listened to the other week (Review here).